A great offering, and a hope comes that future releases will only build on what is heard on this album. What comes first and foremost even during the opening moments of this band's offering is how everything seems to come at you at once. Not wanting to allow the time for the track to breathe and develop a life of its own, the opening track 'Vasa Warship' comes at you full in the face with everything bouncing off musical bars until one is so bombarded with sound it almost becomes overbearing. Tracks 'Kamak', 'Butterfly Effect', 'From Beyond' and 'Saint George' all offer a neo-classical style of shredding which in its own right is quite impressive, and picture an imposing cathedral organ with its pipes reaching upward being played on a platform that overlooks the congregation and you have the opening bars of the closing track, 'The King of Judea'. 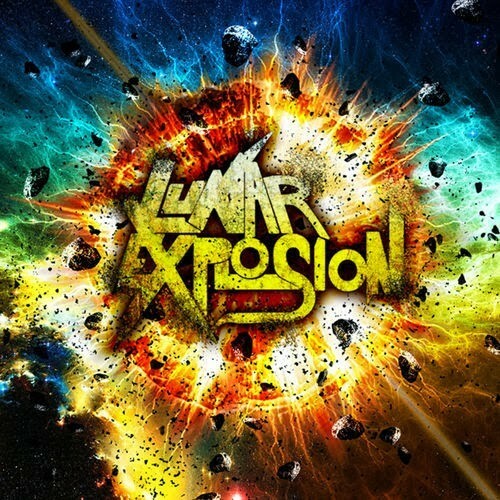 Best described as a hybrid of Grim Reaper, Cacophony, and Seven Kingdoms, Lunar Explosion's debut did offer some high points. Heard in the background of this CD's title track was some truly impressive guitar riffs and solid drums and the introduction of the soft, 'When the Sun No Longer Shines' features a great acoustic guitar accompaniment and the vocal harmonies are a fine touch. Formed in Italy in 2010, guitarists Mattia Sisca and Paolo Ferraro, vocalist Raffaele Smaldone, drummer Andrea Grespi, and bassist Sebastiano Zanotto, have come together to bring to the listening audience their approach of a genre - neo classical metal - that is truly one of the most difficult to put together. Guitarists Michael Angelo Batio, Marty Friedman and David Chastain make it look easy, and truth be told, Lunar Explosion axe men Sisca and Ferraro do an admirable job. Problem is, it's not as passionate as the finished sound could have been, and the cohesiveness that must be heard within the group in order for a track to come together as its playing time commences was missing here. 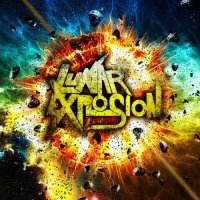 But with that having been said, there is some strong talent, and note must be given for the boys of Lunar Explosion to bring to the table one of the hardest styles of guitar work to undertake.